We have been developing our communities across Canada. With a strong presence in Canada, there are thriving local communities within the major cities. ICAS members meet up regularly to keep in touch and host networking events. Why not meet up with fellow members and help to further enhance a leading professional community? If you are in Canada, why not get in touch with one of the community chairs, who are a point of contact for all member enquiries and act as ambassadors in helping to promote the ICAS brand? Karen Finlay is the Manager of Risk and Compliance at Aquinox Pharmaceuticals Inc, a clinical-stage pharmaceutical company in Vancouver, Canada. 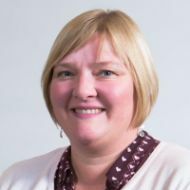 Karen graduated with a degree in accounting and finance from the University of Strathclyde and completed her Chartered Accountant training in Scotland with PwC. 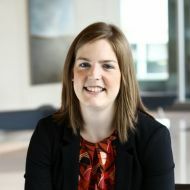 She relocated to Vancouver in 2013 where she worked in the Risk Assurance department of PwC, leading on a variety of risk/controls advisory and assurance projects with clients in public and private sectors. Karen recently made the move to industry with a remit to oversee Sarbanes-Oxley, covering insurance and tax compliance matters. David Simpson is President of Suilven Consulting Ltd which specializes in process and accounting improvements. He articled with Williamson and Dunn in Aberdeen and qualified in 1994. In 1995 he moved to Calgary Canada and worked in the accounting practice of Kenway Mack Slusarchuk Stewart. He has subsequently worked in the IT, manufacturing and recruitment sectors. David is also a director of Field Hockey Alberta. Susan Simpson is the Chief Financial Officer and Chief Compliance Officer of Sterling Bridge Mortgage Corp.,a small real estate financing company in Calgary, Canada. She articled with Coopers & Lybrand in Aberdeen and qualified in 1993. In 1995 she transferred to Coopers & Lybrand in Calgary, Canada, where she worked in the audit practice, until 2008, when she joined Sterling Bridge. Susan is also a director of the Calgary Humane Society, and a member of the Audit Committee of Bethany Care Society. 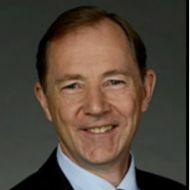 James Waddell is Vice President, Chief Internal Auditor of TMX Group and several of its subsidiaries. Prior to joining the predecessor of TMX Group in 2003, Mr. Waddell held a number of positions in risk management training and facilitation, internal audit, forensic accounting and public accounting. 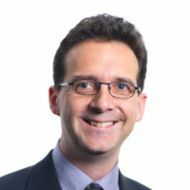 Mr. Waddell graduated from the University of Glasgow, Scotland with a Bachelor of Accountancy degree, and is a Scottish Chartered Accountant, Canadian Chartered Professional Accountant, a Certified Internal Auditor and a Certified Fraud Examiner. Please visit ICAS.com for more of our Canada related articles.